Indicated price per sqm. For a 6.25m² net. The mesh and PVC alloy offer you the best technical canvas! This material offers excellent resistance to waves and marine conditions. It accommodates multiple cruise catamarans, such as the Lagoon, and has gradually seen a heightened use on land! To create a custom sunbed in the garden, a relaxation space or a pool cover, for example. 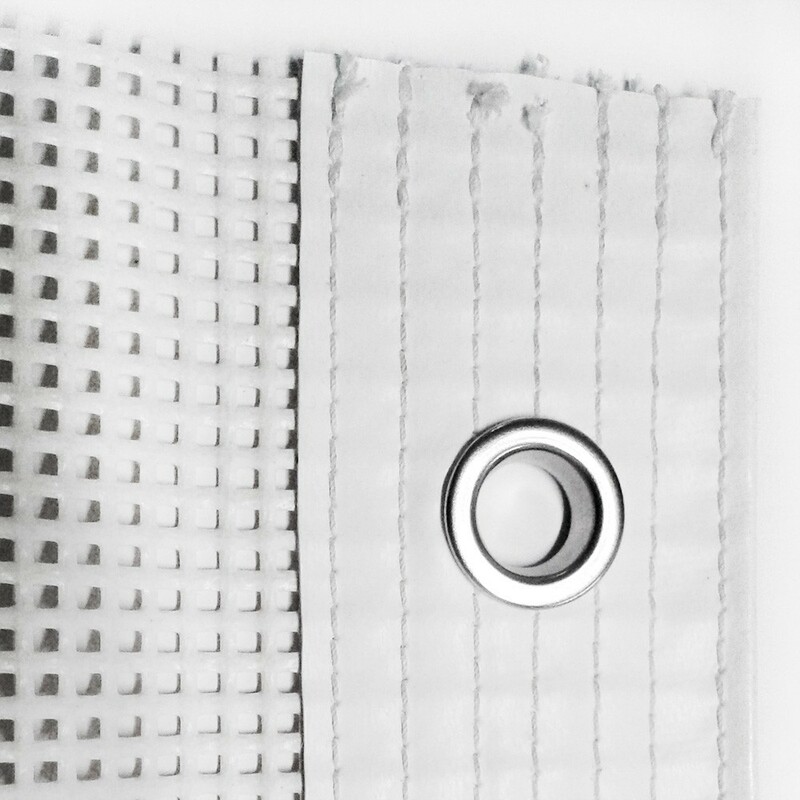 This Multitramp Mesh 392 version is the perfect compromise between resistance and water resistance. 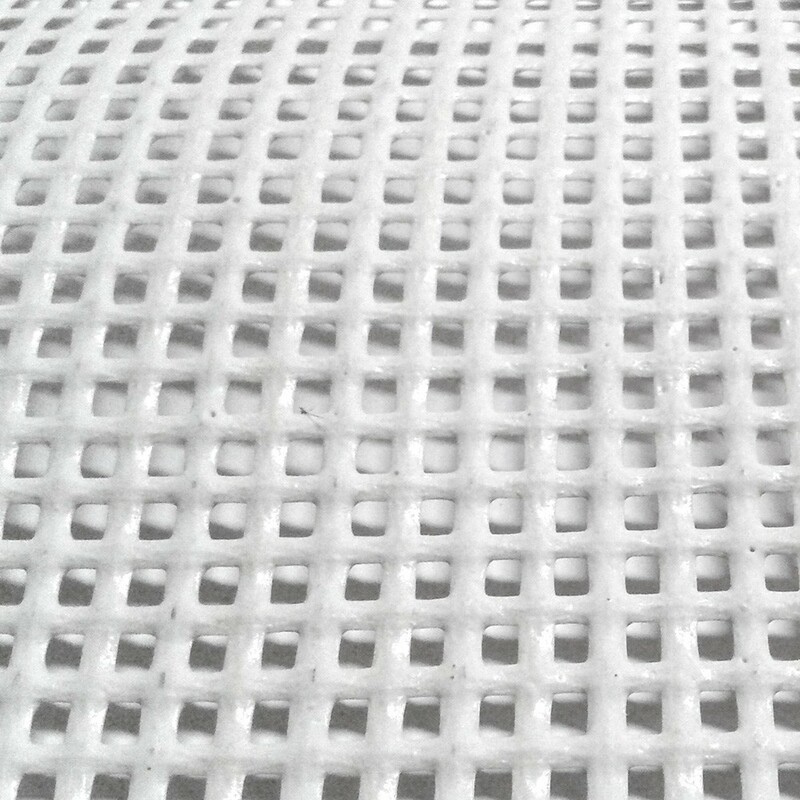 - 3 x 3mm braided netting: tight enough to protect from external elements while giving visibility to what is happening below. It offers a good permeability to waves. The braided netting is also very comfortable if you wished to use if to create a suspended relaxation area. - 1100 DTex + PVC: a combination that makes the canvas very resistant while remaining relatively light (820g/m²). The 'mesh is the 'heart' of the canvas and is covered in PVC. - Reinforced border for a stronger resistance. Stitching, welded straps, strengthening strips make this canvas extremely enduring to rigorous and demanding outdoor conditions. - High frequency soldered or sheath eyelets: We offer either finish in order to adapt to your fixation constraints. We place the eyelets every 150mm. - Treatment against UV rays: This canvas will withstand prolonged sun exposure as well as reverberations thanks to its very efficient UV treatment. We will create a quote from your measurements: don't hesitate to make a first estimate online! A manufacturing delay of 3 to 4 weeks is necessary before shipment of your canvas.